Having finished Season One, this episode we take a breather and consider what we've learned. Firstly, just because a show is successful doesn't mean it has money to throw around. 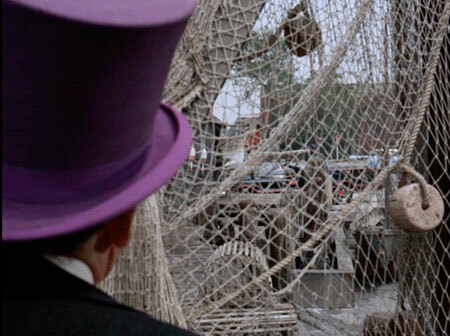 We explore such aspects as Joker's laugh, the lack of continuity in '60s TV shows, and the interesting camera work sometimes employed on the series -- deep shots such as Penguin watching the Duo from afar. We do all this through the lens of a 2008 interview of show co-creator Lorenzo Semple Jr. - what it tells us about his approach to the series, and why the show burnt itself out. Also, what we're looking forward to in Season Two, and a look in the Bat-Mailbag!